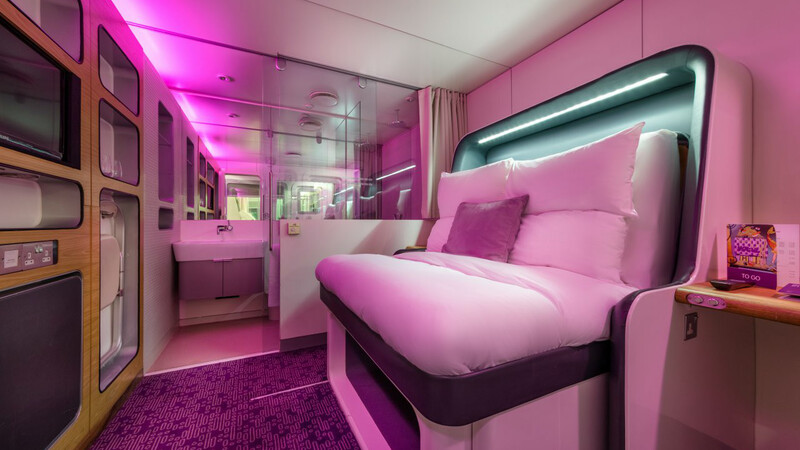 following on in the series of pre-flight accommodation trials, this time i decided to book a room at yotel air inside heathrow's terminal four, the night before our super early flight out to osaka. i'd heard mixed reviews about the in-airport "hotel", and was keen to get inside to check it out for myself, but, in hindsight... maybe it wasn't the best idea before a seventeen hour flight halfway across the world. to explain, here are a few thoughts i had while staying in a premium cabin inside london's busiest airport. 1. this is so cool! it's so compact and teeny! this is going to be sooo much fun. 2. it reminds me a bit of that time i stayed at the citizen m.. except smaller. a lot smaller. 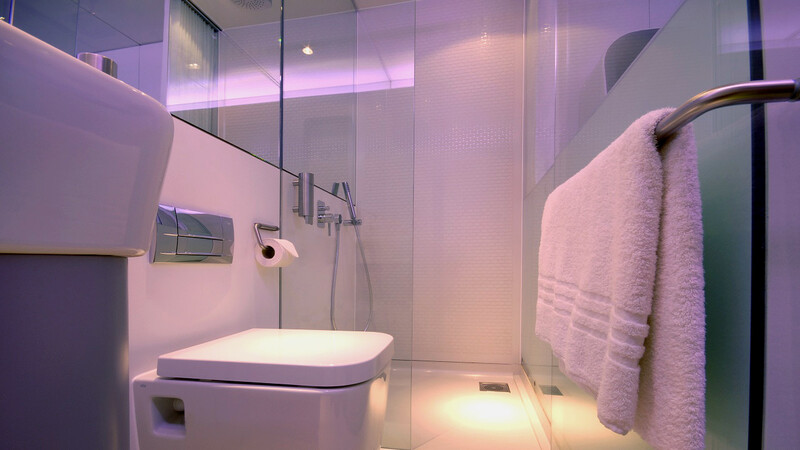 3. oh, ha: the bathroom has a privacy curtain, that's.. comforting! 5. so like, how do we get the bed down? 7. still don't know what this button does? 8. mate, i am so glad this bed is comfy! 9. this pillow is so hard. but this pillow is too soft. ugh! 11. omg it is sooooo hot in here! and, what is that banging noise?! 12. it feels like someone is trying to drill through the roof.. that can't be normal? 13. even with my earplugs i can hear the drilling - not to mention it's shaking the bed too! 15. i'll call reception; which switch is for the light?! which switch makes the phone work?! argh, nevermind, i'll just go to reception myself. 16. this fan i got from reception is doing nothing.. at least the drilling has stopped. the fan sounds like it's going to take off though. 17. haha! take off! because you're at the airport! 18. i mean, who plans building works above an airport hotel..
20. omg it's so loud! how do you turn it off!? 21. at least the shower is wonderful.. the soaps are lush too! 22. ok, i am ready to take on the world! 24. why won't that damn alarm shut the hell up! 26...yep. he does. i wish he would stop smiling at me so much..
27. dear god i'm tired. think i'll be able to sleep on the plane? 28. i will if we get a birthday upgrade! 29. omg, happy birthday me! let's get this party started! soooo, yeah. it was an experience, that's for sure, but not one i'd do again in a rush. the night receptionist admitted that the building works happen in the evening when there are no travellers around, which.. is very frustrating, as if i had known that, i would have not stayed the night, instead choosing to get a cab to the airport very early instead. i got little to no sleep whatsoever in that cabin, though it all started out fun and games, the tiny little cabin became increasingly hot and the a/c didn't seem to be adjustable in the slightest. it was cute, quirky, and a novelty for sure, but again, not one i'd be rushing to repeat before an early-morning, 17 hour flight across the world. 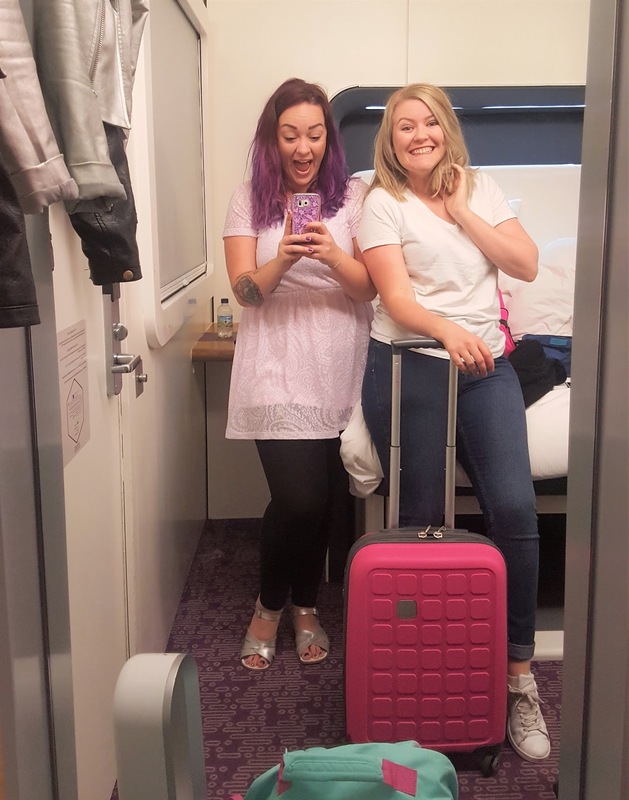 we're very lucky to have had the option to stay in the airport overnight, but i would hold off on booking something like this again until those pesky building works are complete. 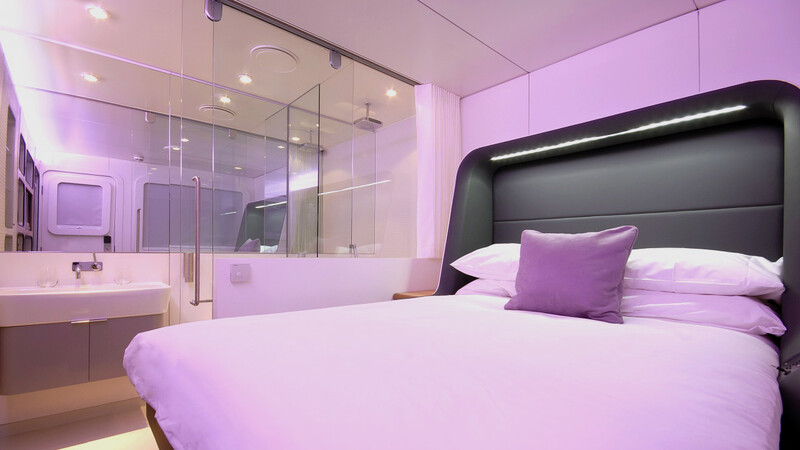 *we were guests of yotel air, but aaaaaall thoughts are obviously my own. some images are theirs, though.